It was a graduate of the Boekes’ school, Dutch electrical engineer Gerard Endenburg, who developed a method for implementing sociocracy in a competitive, results-oriented corporation. After completing his military service, he worked at Philips where he invented the small speakers still used in mobile devices. In 1968, he became the managing director of this family’s electrical engineering company, Endenburg Electric. As an engineer, Gerard Endenburg found it frustrating that he could design remarkably successful electrical and mechanical systems but in managing people, it seemed impossible to produce satisfactory results for everyone—managers, workers, and investors. He knew from his experience at The Children’s Community Workshop that everyone’s needs have to be considered to create a highly productive organization. Anything else was self-defeating. While teaching radar technology in the Army, Endenburg had become interested in cybernetics, the study of communications and control. Cybernetics focuses on the ways that systems self-regulate. Primarily they do this by communicating in a chain of cause-and-effect that creates feedback loops. This allows the systems to manage themselves successfully by self-correcting in response to their environment. Consent decision-making for policy decisions, including electing people to roles and responsibilities. Double linking of circles to form a circular hierarchy that functioned as a feedback structure. He spent ten years planning, testing, measuring, making corrections, and starting over again. Finally, Endenburg had developed a revolutionary method of organizing and managing organizations, Including his own producing electrical systems for the Dutch shipping industry. It expanded the ideas of Comte and Ward and was more broadly applicable than the Boekes’. In the Children’s Community Workshop, Kees Boeke and Betty Cadbury had created a harmonious society of self-organizing equals. But their methods only worked in a homogeneous population and was dependent on the valuing of love and concern for each other. In a demanding, fast-paced business waiting until everyone loved each other was no more an option than majority voting. By the early 1980s, Endenburg had developed a method that produced a harmonious, self-regulating and highly successful business. Remarkably, it could be used to govern any kind of organization effectively. 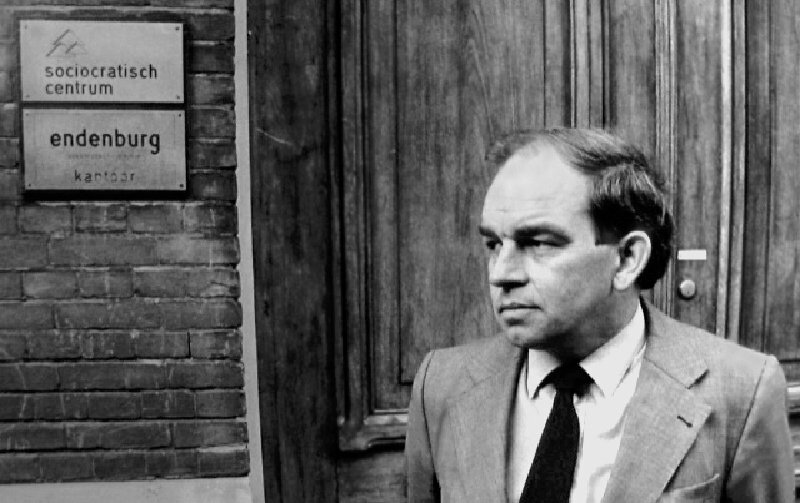 He founded the Sociocratisch Centrum in Amsterdam and began consulting in other businesses and organizations. When Endenburg stepped down as managing director of Endenburg Electric in 1995, the company, still kept at 110 employees, had an annual income of fl 14 million (~US $5.6 million).